High performance, pro-level stand for 2 guitars. The K&M Double Guitar Stand is a high performance, pro-level stand for 2 guitars - fits acoustic, electric & bass. Independent yoke prongs easily and firmly secure most headstocks .Soft foam protects guitars from inadvertent contact. Folds compactly for easy storage. 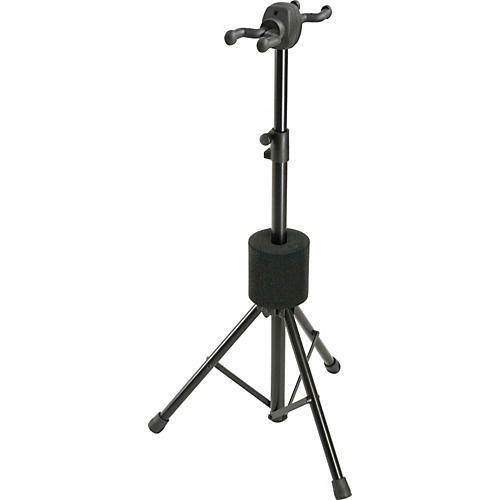 Keep your favorite instruments within reach with this high performance stand. Order today.